1. Phthalates: These can be found in fragrances, so take stock of your scented products- from dish soap to cleaners to air fresheners. As the article points out, phthalates are often not printed on labels, so look for artificial fragrance as a red flag. Why to avoid them: Research suggests that they can be disruptive to the endocrine system and be potentially carcinogenic. How to replace them: Choose products that are naturally scented or free of fragrance. Skip the aerosols and opt for essential oils, fresh air, or natural potpourri. 2. Triclosan: This chemical is found in antibacterial detergents and soaps. Why to avoid it: The verdict is still out as to whether antimicrobial products actually make us significantly healthier. We need to be careful to avoid overuse. Triclosan, while killing certain bacteria, is also thought to promote the growth of others that are resistant to standard drugs. Using it in our homes also means that triclosan finds its way into our ecosystems; it’s been found as a killer of algae in rivers and streams. How to replace it: Use natural soaps and detergents, and opt for alcohol based santitizers. Check your labels! 3. 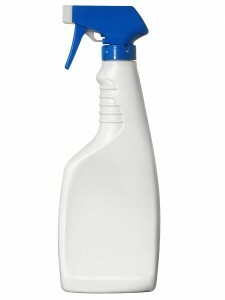 Ammonia: This is a common household cleaning ingredient found in glass cleaner and polishes. Why to avoid it: It evaporates quickly and effectively (so as not to leave streaks on your furniture and windows). Unfortunately it’s a strong irritant when inhaled- particularly to those with asthma or other respiratory illnesses. It is suggested that people who regularly inhale ammonia as part of their job are more likely to develop respiratory disease. How to replace it: Experience Life recommends vodka for metal and mirrored surfaces and toothpaste for polishing silver! Check out the full list of household toxins to avoid and discover easy, natural ways to keep them out of your home. Tell us: what natural and eco-friendly cleaning products do you use?